If you need quality rain gutter installation for your house in Marietta, GA, choose Affordable Gutters Plus, LLC. You get high quality rain gutter installation for your house with our complete roof and gutter services. Ease your worries about roofing damage with our top quality rain gutter installation, just one of our many services offered to help you rest easy and prevent roofing damage. For the highest quality service around, pick our licensed, skilled contractors. We are always available to answer your rain gutter installation questions or assist you obtain an assessment. 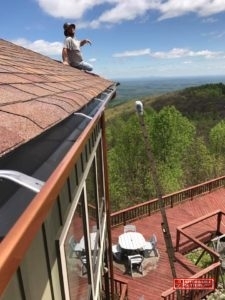 Call Affordable Gutters Plus, LLC at 770-735-4433 today for top-notch service and rain gutter installation in Marietta, GA. 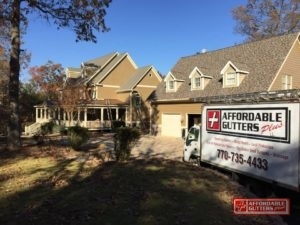 Affordable Gutters Plus, LLC gives all of your required home services in Marietta, GA. Our contractors are skilled installers) who complete roof, flashing, and rain gutter installation services. Metal Roofing: For the highest quality defense and energy efficiency in town, consider a metal roof for your house. Roof Drainage Repair: A small portion of having your gutter system run perfectly is having roofing drainage repair when needed. 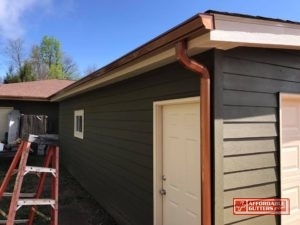 Seamless Rain Gutters: High quality installation of your seamless rain gutters from Affordable Gutters Plus, LLC means you receive a system that will not crack and leak, supplying you with protection against water damage. Get these and many of the other services you require for your home. When storm, hail, and high winds strike, your home is defended and shielded from the hardest strikes by your roofing. With an expertly installed gutter system, you can make sure that your roofing continues to offer the protection your house needs. Want to begin on a rain gutter installation for your house in Marietta, GA? Dial 770-735-4433 today to talk with one of our contractors about your house’s roof and gutter service needs. With the big investment it is to own a home, you anticipate that you will be able to live in for a lifetime. Whether you require a rain gutter installation or a complete roofing installation, Affordable Gutters Plus, LLC installs systems created to provide you with the best and last you as long as you occupy the house. Licensed contractors make sure you get the systems your home requires with skilled installation techniques. Customer service and skilled workmanship are our central values and we use these to provide you with first-rate roofing and rain gutter installation experience. Dial 770-735-4433 for Affordable Gutters and superior rain gutter installation today.